The Consumer Electronics Show is all about gadgets, yet the biggest and most exciting reveal didn’t center around any; no, what really had everyone talking was Samsung’s new SmartThings Platform, which, yes, does have some nifty gadgets, but really is more about the brains behind it. 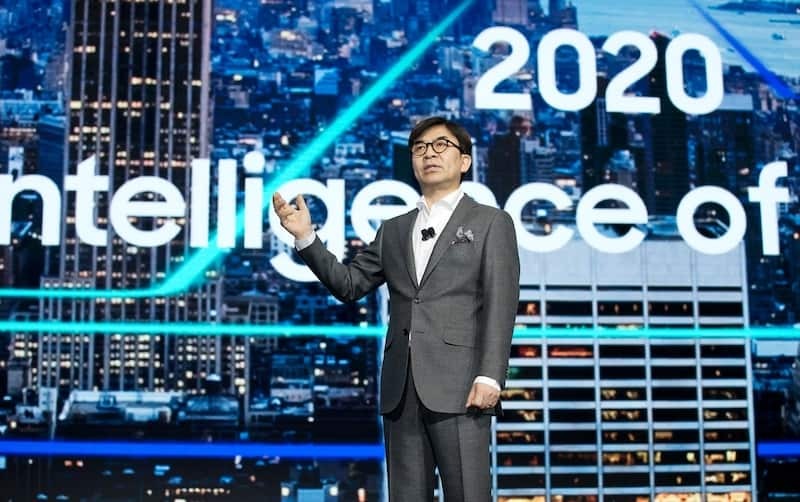 Samsung has shifted its focus and in turn will shift how you live, developing and focusing on AI and how the devices and world around you interact. The result? Samsung’s “intelligence of things” and if everything works as it should, it will be quite impressive. Let’s take a closer look at Samsung’s new vision and the products behind it to see what it all means for you. Smart devices are everywhere these days, and their main purpose is a simple one: to make life easier in a world that is constantly moving and evolving, especially when it comes to technology. But the truth is, many of today’s gadgets have flaws or don’t interact as well as they should. Which is where Samsung comes in. Instead of just building a bigger and more impressive TV that was more style than substance or a fridge that at its core is just a glorified icebox, they set out to build products that were truly smarter, with the ability to interact and even react in an effort to simplify how you live. The concept, according to Samsung’s electronics and research divisions head guy, Kim Hyunsuk, is that : “IoT should … make a consumer’s life simpler and easier, to free up time to let them do the things they love.” In other words, the devices around you should work with you and each other so that your day flows. Using voice assistant Bixby, you will be able talk to, program, and use everything around you in one smooth motion starting this spring. Sounds easy enough, but the truth is this is a unchartered territory for Samsung, who is renowned for their phones and TV’s as opposed to software. But now that is about to change, as they plan to develop this platform, with all of their products becoming Internet-dependent by 2020. What does it all mean for you? Well, let’s break it down and find out. The SmartThings cloud/app is the main component of this new system, as it is the software all of the company’s products will operate under. Yes, there currently are SmartThing devices, but the current SmartThings software is limited and just one of 3 systems on the market that will combine to become one. SmartThings: It currently works with products not made by Samsung, including Amazon’s Alexa and the highly-popular Philips Hue lights. See how Echo Plus helps you connecting to the SmartThings Hub too. Smart View: As of now it communicates with your phone and TV, so you can stream from your mobile device to the big screen. Samsung Connect/ Samsung Smart Home app: These 2 are used to control smart devices around the house from anywhere you are. All of these will now come under the SmartThings app umbrella, so you will be able to interact and control all your devices without needing different apps. Which means your devices can talk to each other and you don’t need to program or repeat anything. At least, that’s what it means in theory. It is too soon to say if it will work as it should. After all, the current SmartThings app debuted a few years ago with quite a few glitches. However, just like everything else it is a learning process and if Samsung can figure it out and deliver it will be great for consumers. Connectivity: the biggest selling point of this platform is the ability for your devices to interact with each other, which will turn your world upside down. For instance, with the new ThinQ fridge, it can tell you, based on what is in your fridge, what recipes to make that day and even preheat your smart oven for that recipe. So no more using multiple commands to the objects around you, saving you time and energy. Intelligent actions: under the new cloud, your devices will learn more about you, as they are now sharing information. 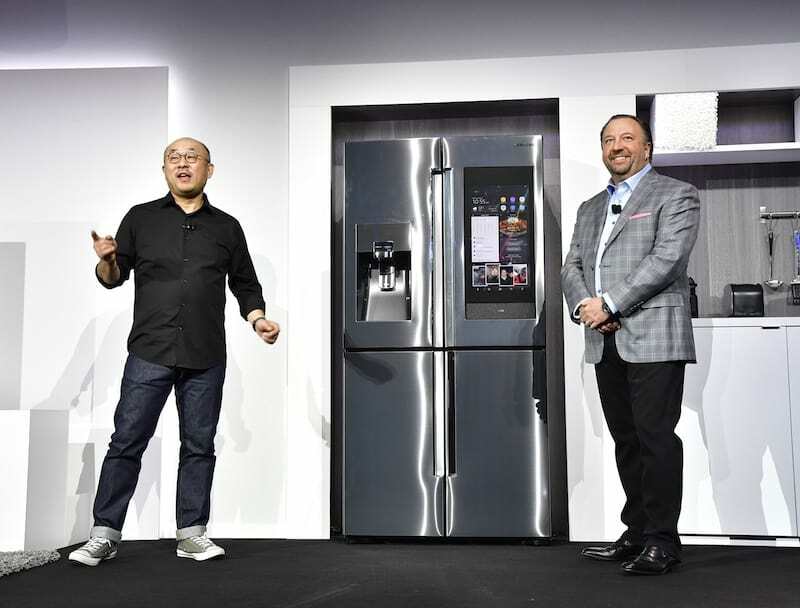 So, your new fridge can give custom responses to individual family members and recognizes them by voice while your TV can suggest shows for viewers. One app for everything: no more setting up several apps for the myriad of devices you have or programming them to talk to each other. Of course, the big hurdle for Samsung will be competing with Amazon’s Alexa, which is dominating this field. However, if they can get this system to run as intended they have a shot at being a serious contender. The real question is whether or not it will do what it says. My money is on there being some bumps in the road, but I think eventually it will perform as promised- which is a promising prospect!